Happy Monday, blog fans! Okay, it might be Tuesday by the time you're actually reading this, so adjust accordingly... Day aside, hopefully it's at the very least decent. It's about to get a smidgen better, if you like rose gold at least. And really, who doesn't? Speaking of, have you seen the new Smashbox Petal Metal Collection? AMAZING! But let's get back on topic... Rose gold is just straight up gorgeous. I think we can all agree. I'll assume all heads are nodding in solid agreement. oNecklace, makers of an impressive range of custom jewellery, know the allure of rose gold. As such, they offer it as a finish on their sterling silver pieces. I am usually iffy about plating on jewellery, as you just never know how it will stand up, but having a few oNecklace pieces (and loving them) I decided to take a chance on a few rosy gems and am so glad I did. 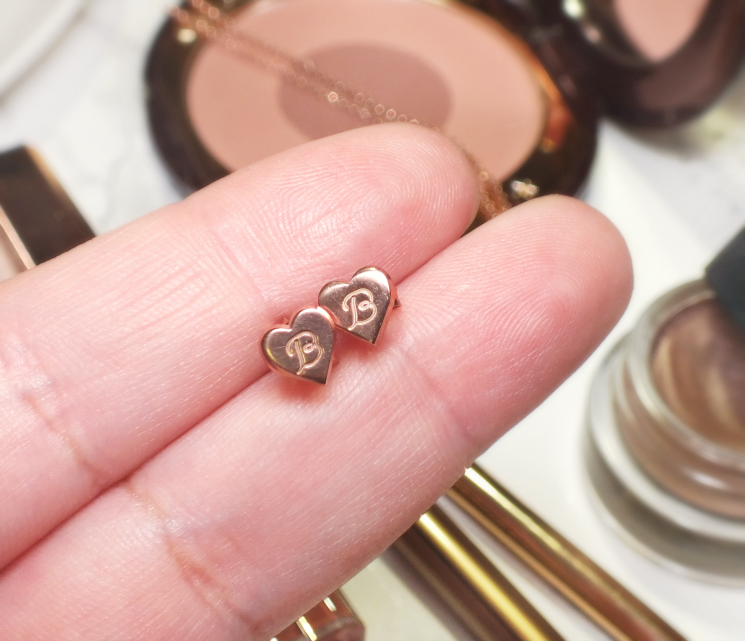 The Heart Stud Earrings are the cutest little guys that come engraved with your choice of initial. Clearly, I went with B. For such small studs, the engraving is very well done and gives these that extra little something special. As mentioned, these are .925 sterling silver and plated with rose gold, which not only looks great, but means you don't have to deal with the silver tarnishing. That said, if you're not feeling the rose, these are also available in 24k gold plate, and plain sterling silver. 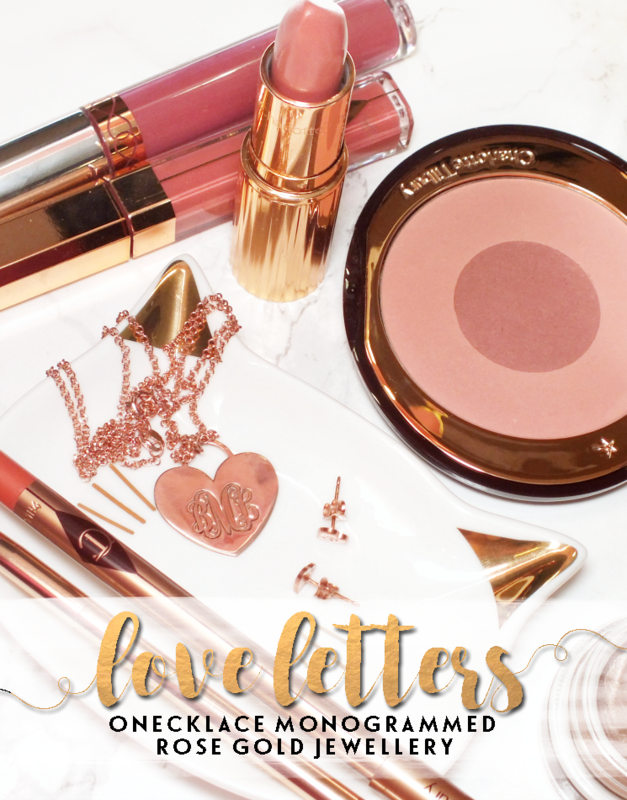 Much like rose gold, I feel like a monogram is equally universally appealing. Plus, it scratches that inner narcissistic itch. Don't act like you don't have one. 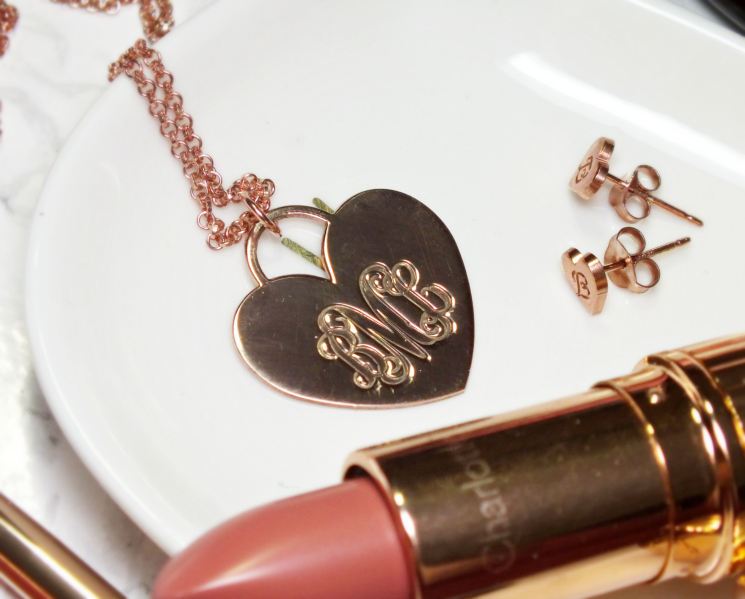 The Engraved Heart Monogram Necklace features both aforementioned details to make for an adorable necklace. oNecklace offers a few additional customizations on their necklaces (beyond monogram and finish) like chain length and style (rolo or box.) It's a small touch, but a nice one. I went with rolo, by the way. The heart-shaped pendant is what I consider the perfect size, as it's neither teeny or over-sized, and makes for an easy, everyday type of necklace hat pairs well with casual or dressier outfits easily. Overall, two really great pieces! The quality of oNecklace items is quite impressive with all the little elements taken into account- earring backs fit snugly, chain clasps are secure and not flimsy, and the chain weight isn't so thin that you're afraid to wear it daily. I have loved all of my oNecklace items, but these might just become my top picks. What do you think? 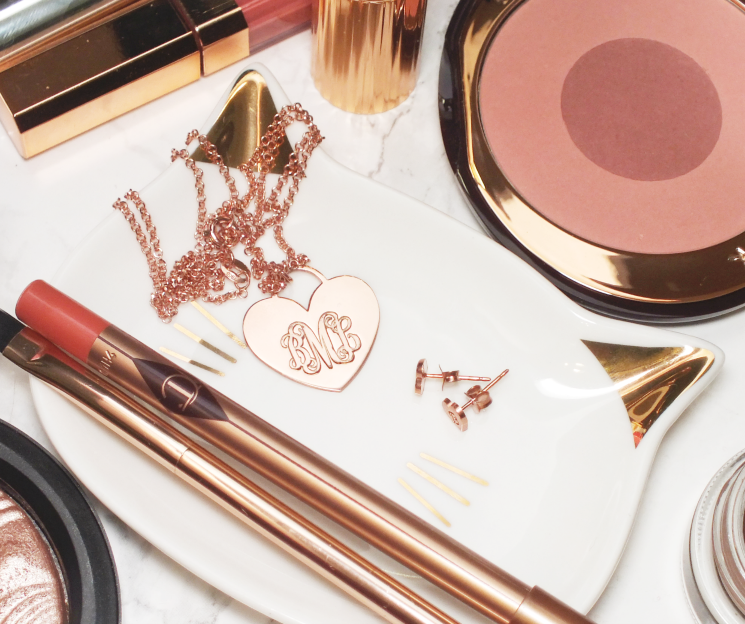 Are you a fan of rose gold or custom jewellery?